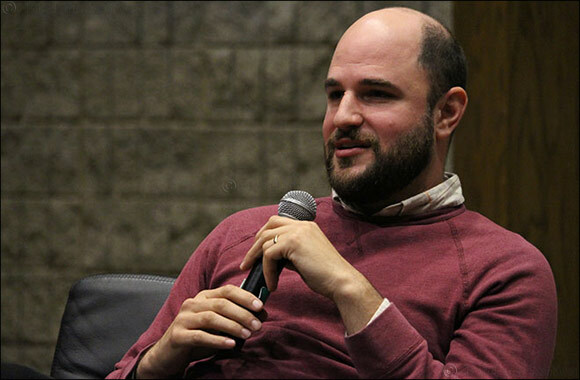 Doha, Qatar, July 30, 2018: Famed Hollywood film producer Jordan Horowitz, a Northwestern University graduate, will speak at Northwestern University in Qatar’s 2018 Convocation Ceremony for its incoming class of students on Sunday, September 2. Horowitz is best known for producing the Academy-winning musical comedy-drama La La Land, which was nominated for a record 14 Academy Awards in 2017. It won six, including Best Director for Damien Chazelle and Best Actress for Emma Stone. The much-honored La La Land was also awarded Best Picture at the Golden Globes, BAFTAs, PGA, and Critics Choice Awards. NU-Q’s Convocation marks the beginning of the academic year and will welcome the Class of 2022 after a week of orientation activities. The event is the first formal occasion of the year, and this year it will mark the first event of the University’s 10th year anniversary celebration. Attended by Northwestern’s administration and faculty in full academic regalia, students will hear from Dean Everette E. Dennis and NU-Q’s Student Union President Alessandra El Chanti, in addition to the keynote speaker. Horowitz earned his degree from Northwestern’s School of Communication in the U.S. in 2002. Following his graduation, he co-founded a film and television production company, Original Headquarters, with his wife, writer/director Julia Hart. His filmography portfolio includes 12 movies, including two recently released productions: Fast Color and The Master Cleanse, as well as a TV show, Counterpart, which has received favorable reviews. Previous films, in addition to La La Land, include Little Boxes, Miss Stevens, The Keeping Room, You are Here, Garden of Eden, Save the Date, Meet Monica Velour, and The Kids Are All Right – the latter of which received four Academy Award nominations and won the Golden Globe for Best Picture. During Horowitz’s visit, NU-Q will screen La La Land for the community followed by a discussion of that film and other work he has produced. As undergraduates, NU-Q students major in communication (media industries and technology) or journalism and strategic communication. The Class of 2022’s first year will coincide with NU-Q’s 10-year anniversary, which will be marked with a series of celebratory events throughout the year. In previous years, NU-Q’s convocation speakers have included author and journalist Ellis Cose, internationally syndicated columnist and commentator Rami Khouri, author and independent scholar Jonathan Lyons as well as political scientist Mehran Kamrava.